After starting to DJ in the mid-nineties, Tresor quickly became Pacous homebase. He also released his productions on Tresor Records, as well as on Djax-Up Beats, Music Man and Konsequent Records. His own label LL Records was established in 1998, in 2005 he started the successor Cache Records. 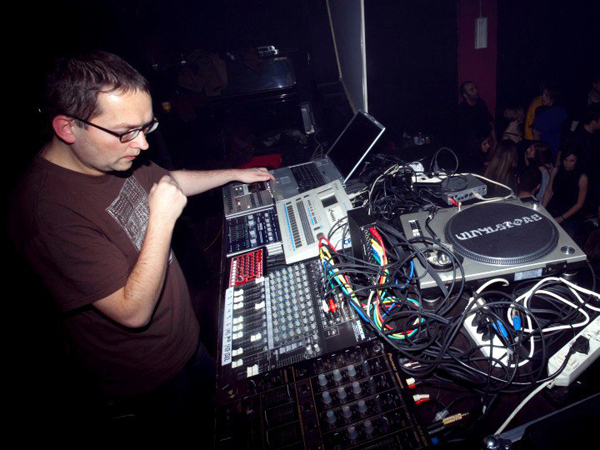 Pacou is known for his love for analog equipment and he definitely knows how to handle his gear in a live situation. This entry was posted in Krautok 2009: Artists, Krautok 2009: Maria, Krautok 2010: Artists, Krautok 2011: ADF, Krautok 2011: Artists, LIVE ACTS and tagged agent cooper, berlin, cache records, djax up, konsequent records, KRAUTOK, Krautok 2009, Krautok 2010, live, live act, ll records, music man, pacou, techno, tresor. Bookmark the permalink.